Unlock the Secrets of Zanzibar! If you visit Zanzibar but only stay on a resort beach, you’re missing a world of adventure! Pirates, merchants, and smugglers from around the world called Zanzibar home, and left their secrets on the island waiting for you to discover. Zanzibuggy tours offers high-octane excursions along the old smugglers’ routes near Nungwi. Explore places that you could never access by car - hidden gems known only to locals. Their guides will take you off the beaten track to picturesque beaches away from the tourist crowds. You will also observe traditional farming, boat building, and fishing techniques. Their unique buggies make exploring this beautiful island an epic adventure - Zanzibar is an off-road driving paradise! Start your thrilling journey with in beautiful Nungwi. After a quick orientation of the buggy, your guide reveals a secret smuggler’s path to a pristine fishing beach. Feel the wind in your face, the sun on your shoulders, and the sand rushing under your buggy as you zip through the stunning Zanzibar landscape. The buggies pack plenty of punch and add a shot of adrenaline to your day, regardless of your experience level. Your guide customizes your expedition, making sure you feel safe and comfortable at all times. 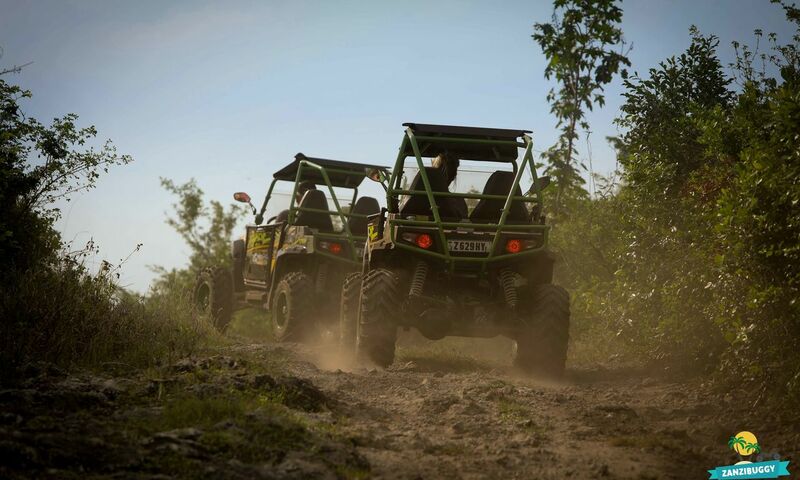 The adventure whizzes through lush farming and plantation area, under swaying palm trees, and over the best off-road trails of the island, giving you plenty of time to practice your off-road driving skills under the instruction of your knowledgeable guide. You finish at a local village, where you chat with locals and watch fishermen repairing their traditional dhow boats, before returning to Nungwi.